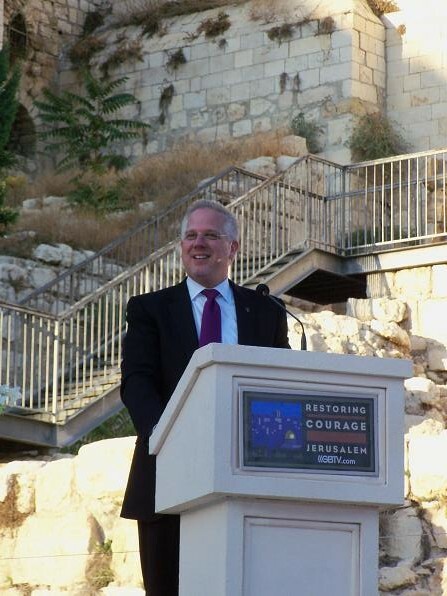 Last week Glenn Beck held his "restoring courage" rally in Jerusalem, Israel. Guest host for MSNBC's The Last Work, Christopher Hayes, covered this event. He discussed it with guest Jeremy Ben-Ami, author of A New Voice for Israel: Fighting for the Survival if the Jewish Nation. Whether Beck defines a "new holy war that's going to engulf the Middle East" successfully or not is yet to be determined, but he seems to be encouraging extremists who would rather fight and kill than compromise to establish a two state (Israel and Palestine) solution. 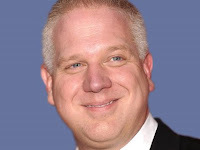 Fewer than one in five Americans (17 percent) believe Beck is the right person to helm a religious movement, according to a PRRI/RNS Religion News Poll released Thursday by Public Religion Research Institute and Religion News Service. Beck was only correctly identified as a Mormon by 17 percent of respondents -- the same number who think he is either Protestant or Catholic. This confusion may work to Beck's advantage as an aspiring religious leader, however, since the poll also found that two-thirds of respondent think Mormons have beliefs different from their own, including 41 percent who consider them "very different." Of course, low popularity doesn't stop a self-righteous, extremely ambitious and possible megalomaniac from exploiting the ignorance and gullibility of those on the far right who support Mr. Beck's political and spiritual orientation such as they are. After all, 17% of Americans are plenty enough people to provide a handsome living as a pseudo-preacher and uneducated, unqualified political commentator with an enormous gift of persuasion. Rarely missing an opportunity to make himself a hypocrite, Beck issued a Declaration of Rights and Responsibilities during this event to promote himself. Last of the 10 points is this seemingly righteous statement: "Because I have a right to the truth, I will not bear false witness nor will I stand idly by as others do." The problem with this, the hypocrisy of this coming from Mr. Beck is that he does bear false witness, to the President, to Van Jones and to others. Glenn Beck and the truth have barely a passing acquaintance, and this assertion gives him great latitude to spin actual facts. Of course, you would not know this to hear it from Beck or his gullible minions. Fortunately, Glenn Beck is off the television for now. However, what is absurd and funny for some people is serious and important for those followers of Mr Beck. Those who have yet to grasp that he his fundamentally a dishonest propagandist out to make a name for himself and a fortune off those ignorant enough to believe Beck because he is, after all, an extremely convincing liar, are plentiful and loud enough to have an adverse effect in American political discourse and election results. Maybe one day Glenn Beck will actually take his 10th point of rights and responsibilities seriously and stop bearing false witness against his opponents. Given his commitment to reactionary propaganda, one would be unwise to hold one's breath waiting for this to happen.